We decorated the tree a couple days ago, there and tonight we threw a massive Christmas party – I spent most of the day cooking ribs (27 racks) and gumbo (probably six or eight gallons) for 100 good friends, web colleagues and family. It was a swell time. His mother made a huge fuss of apology, but we brushed it off – honestly. 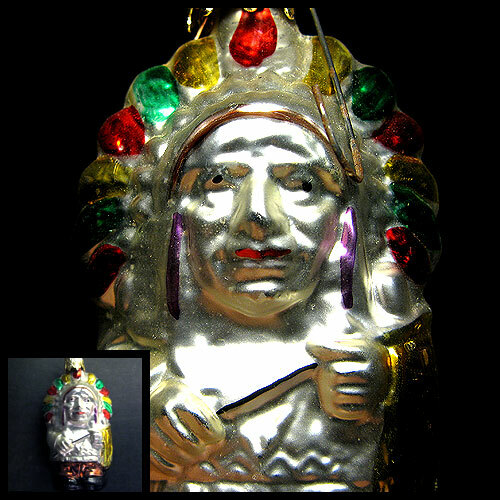 The way I saw it, the pink glass ornament silkscreened with Elvis Presley’s black silhouette had been a tacky little joke ornament that we bought on a Graceland tour some 14 years ago. As my wife saw it, it represented a memory of long ago, and we’ve experienced so many more since then that its loss just didn’t matter. So, Elvis has left the building. I’m just glad we didn’t lose this one – or the pickle, or the hand-blown glow-in-the-dark glass one. He’s a vacu-formed caricature – a cross between super-deformed chibi bone structure, 1920s football-mascot plumage and the liquid-metal threat of the T-1000.